A stylish modern capsule coffee machine expertly designed for the office. Its specially developed functions mean you can enjoy the quality, creativity and modernity of coffee shop coffee in the workplace. With its 36cm (H) x 36cm (W) x 34cm (D), Majesto is a compact machine for professional usage and the ideal coffee solution for your office. Professional-grade machine with 15 bars of pressure for a coffee shop style experience. Ideal for coffee breaks in the office. 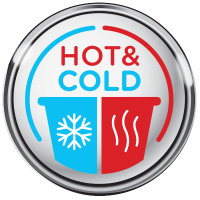 The machine is so versatile it can create a custom hot or cold specialty beverage with ease. 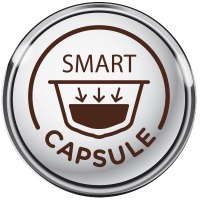 Patented smart capsules lock in the freshness of expertly selected, roasted, and ground beans for consistent flavour in every cup. Insert in a capsule and use the intuitive touchscreen interface to select your favourite beverage. Simply drag and tap and let your coffee prepare itself! Enjoy 40 premium coffee creations. From a choice of intense Espresso and full-bodied Grande, to frothy Cappuccino, hot chocolate, teas and more. Your Majesto capsule coffee machine is so versatile that you can also prepare delicious cold beverages with ease. Majesto's 1.8 litre water tank has a built-in automatic water level dectector so there's always enough water to prepare the beverages you and your colleagues love. 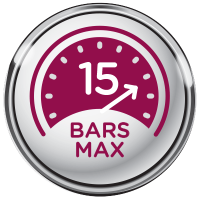 A convenient eco-mode feature automatically turns off the machine's screen after 30 minutes of inactivity, giving this machine an A rating in energy consumption. Enjoy peace of mind with our one-year guarantee. This warranty applies to the NESCAFÉ Dolce Gusto Majesto machine (the brand on the unit must be present). We guarantee this appliance to be free from defects in materials and workmanship. Our obligation under this warranty is limited to repair at our factory or authorised service centre of any defective parts or part thereof, other than parts damaged in transit. In the event of a product’s replacement or return, the unit must be returned postage paid, and with its accompanying, valid proof of purchase. The repaired or new model will be returned at the company expense. This warranty shall apply only if the appliance is used in accordance with the operating instructions, which accompany it, and on an Alternating Current (AC) circuit. This warranty runs for one year (1) from the purchase date found on your order and applies only to the original purchaser for use. The warranty does not cover defects or damage of the appliance, which result from repairs or alterations to the appliance outside our factory or authorised service centres, nor shall it apply to any appliance, which has been subject to abuse, misuse, negligence or accidents. Also, consequential and incidental damage resulting from the use of this product or arising out of any breach of contract or breach of this warranty are not recoverable under this warranty. The warranty does not cover appliances that do not work properly because they have not been descaled in accordance with the factory instruction which accompany it. How do you get your machine serviced? If repairs become necessary or you have any other questions please contact us here or by calling our Customer Services Team on 0800 745 845. The above warranty is in lieu of all other express warranties and representations. All implied warranties are limited to the applicable warranty period set forth above. NESCAFÉ Dolce Gusto does not authorise any other person or company to assume for it any liability in connection with the sale or use of its appliance. Descaling your machine every three months, or 400 uses, will help make sure you keep creating delicious office masterpieces with your Dolce Gusto coffee pods. Our step-by-step video will guide you through the easy descaling process. A bold and creamy-tasting coffee break in only one pod. Enjoy its bold coffee flavour, reminiscent of freshly roasted beans, and expertly tempered by the softness of milk, for a creamy-tasting yet intense coffee experience. Buy our deliciously intense Café au Lait Intenso coffee pods in bulk with this box of 16 pods. Simple idea, fancy French name. This is delicious coffee with milk, all in one clever capsule. One of our most classic coffee pod drinks, Café au Lait has the iconic taste of milky coffee that’s brilliant for any occasion in the office – from the everyday to the extra special. With a generous foam topping, this is a drink with a dreamy combination of rich chocolate and sweet caramel flavours! Purchase our delicious Chococino Caramel pods in bulk with this box of 16 pods. Discover the spectacular NESCAFÉ Dolce Gusto Latte Macchiato. Milkier than the Cappuccino, and replete with milky coffee flavour, this layered Italian icon is a blend of hot milk, smooth coffee and voluptuous froth. With this box of 16 wholesale coffee pods, you can bring the taste of Latte Macchiato to any office. This stylish little number with tasty layers of foam and milky coffee is made with a rich espresso shot and skinny hot frothy milk. Skinny has never been so yummy. Less than 1% fat, 49 calories per cup and unsweetened. Now you can purchase these deliciously light coffee pods in bulk with our box of 16 pods. A sophisticated, warming drink, our Vanilla Latte Macchiato coffee pods are brilliant for enjoying at any time of day. Whether savoured as a treat for yourself, or enjoyed with colleagues, this delicious drink not only tastes the part, but looks fantastic too. Enjoy a stunning Vanilla Latte Macchiato whenever you want, buying these delicious coffee pods in bulk, in our handy box of 16 pods. An intense, medium-dark roast coffee. With an intensity of 7 out of 11, this short coffee enjoys fruity and spicy aromas, a smooth body and a generous velvety crema. Revel in the notes of summer red berries and the spicy undertones of pink berry pepper in this intense 50ml short cup. Purchase these flavourful, intense coffee pods in bulk with our box of 16 pods. Inspired by Spanish coffee culture. Similar to an Italian espresso macchiato, it's simply espresso “cut” with a dash of warm milk. Savour the powerful roasted coffee aromas with notes of toasted almonds and pecans, made smooth with creamy whole milk and finished with a nutty-coloured crema. Purchase these coffee pods in bulk for a delightful Cortado coffee experience at the office. A 100% Arabica coffee with an intensity of 5 out of 11. A long mug (at 200ml), this is a smooth coffee with a round body and a fine crema. Savour the freshly roasted coffee aroma and citrusy notes in this pleasant longer coffee. Enjoy being able to buy these mellow coffee pods in bulk with this box of 16 coffee pods. With a delightfully smooth body topped with a classic crema, the Grande Mild coffee pod is a laid-back choice for any occasion. As well as delicious for coffee enthusiasts, this one's particularly good for the occasional coffee drinker who doesn't fancy anything too intense, but still wants to enjoy the unmistakable taste of a NESCAFÉ® Dolce Gusto® coffee. You can purchase these mild, rounded coffee pods in bulk with our box of 16 pods. A 100% Arabica coffee with an intensity of 9 out of 11. A long intense cup (at 180ml) with roasted coffee aroma, fruity notes reminiscent of black cherry, a full body and a fine crema. Buy these deliciously intense coffee pods in bulk with our box, great for professional use. A decaffeinated long espresso - quite literally a 'long coffee' - Lungo Decaf is a 'stretched' espresso. Rich and smooth, each cup is an experience that you can take your time over. Buy these deliciously flavourful espresso coffee pods in bulk with this box of 16 pods. These coffee pods make a typically Italian dark roast coffee. Shorter than an espresso (35ml), with an intensity of 8 out of 11, this is a bold coffee with a rich, intense aroma, a syrupy body, and a dense crema. Savour the complex notes of roasted chestnuts and undertones of dark red fruits, evoking blackberries, in this bold short cup. Buy these bold, vibrant coffee pods in bulk with this box of 16 pods - great for professional use. Delicious black tea with natural spice flavours, topped with a rich frothy milk foam. NESCAFÉ Dolce Gusto Chai Tea Latte comes in two pods: one pod with a premium black tea and a blend of natural spice flavours like ginger, cloves, cinnamon and cardamom, and one pod with rich whole milk.